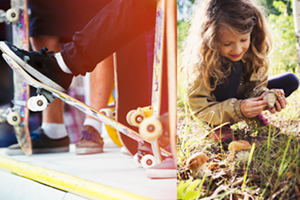 Winning Words | The Kids Beat | Kids VT - small people, big ideas! PBS, home of "Sesame Street," has long been a leader in early literacy. For the last 20 years, the broadcaster has invited young readers in grades K-3 to write and illustrate their own storybooks for the PBS Kids Writers Contest. Vermont PBS announced the winners of the statewide contest in April; the four first-place winners — Skye Williams, Joshua Kafumbe, Alden Elsa MacDowell and Harrison M. Kim — one for each grade, were entered into the national competition. In July, 7-year-old Joshua Kafumbe of Middlebury found out he won third place among all of the first-graders from across the country who entered the contest. In his story, The Colors I Feel, Joshua describes his feelings as colors and objects: "I feel yellow like a dandelion when I am happy. / I feel red like molten lava when I am angry. / When I am sad, I feel blue like a doctor's surgery gown." Each comparison shares the page with one of his vibrant drawings. Kafumbe, who will be entering second grade at Mary Hogan Elementary School in the fall, wins a prize package including a LeapFrog reading and writing system. He's Vermont's first nationally recognized winner since 2010. We reached him by phone one weekday after summer school. His story was inspired by: "Colors. People actually feel feelings instead of colors. But when I see colors, it starts to make me feel something." Color he was feeling when we talked with him: "Red, because I'm sick." He likes to read: "Chapter books like Secrets of Droon." Those books have "kind of scary pictures," he says. "Babies wouldn't like them." His ambition as a writer: "I want to write something that would be good for all children. One part would be 'baby nice,' and one part would be nice for all ages." How his mom, Betty Kafumbe, feels about his award: "My family is really grateful to PBS Kids for organizing the writers contest — for giving children the platform to develop their reading and writing skills. We're excited for Joshua!" 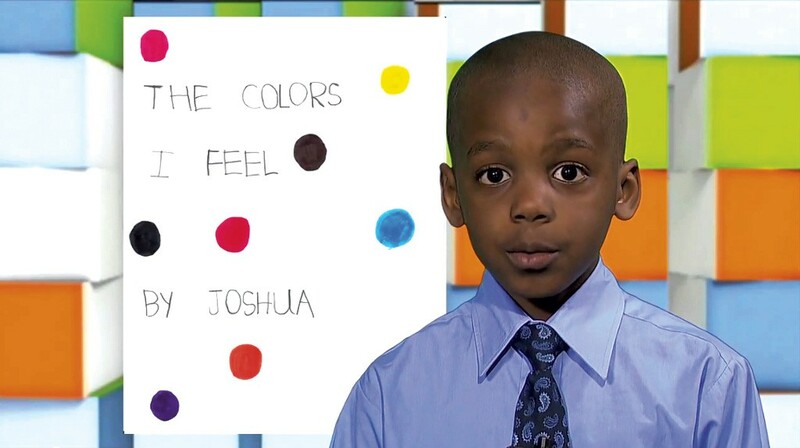 The Colors I Feel: Watch Joshua Kafumbe read his award-winning story at vpt.org.